Discussion in 'Gaming Arena' started by Einzo, Jun 12, 2013. Nah man, doesn't really cut it for me. It's about as much a threat to Wildstaras the Exiles imo is to the Dominion (which is none, those de-civilized beggarly rednecks won't be more than an annoyance and a couple of replaceable causalities - we probably didn't need them anyway id they were weak enough to die). Graphics will quickly be outdated, game already seem to be unbalanced in it's Asian version, story seems dull as does overall environment. The game looks like it could be interesting but it's hard to really tell this early on. It looks interesting, might be something to kill the time waiting for Wildstar release. I just really hope they change the way the cat race women faces look. They used to have the more animal like face then jumped on the korean mmo bandwagon(I realize it was a korean game first) and changed them to creepy doll looking faces. Which do not fit at all in the game imo. It looks so weird and creepy and not cute at all if that's what they were trying to achieve. Depends on what Trion does to it. But I like what I see. Hell, I like how the Korean version looks. I think it has the potential to be a dark horse game that sticks around for a while. Not quite a true sandbox but with a lot of open elements that look solid. This is a review from a player playing the Korean version. Solid review from a player that is more PvP focused. I'm sure I read somewhere recently that they are dishing out a sort of action point in game and you only get so many each day, and that they have extended this to mob drops and things which makes the game somewhat less attractive to me than it had been previously. I've watched some footage of people playing and it doesn't look very interesting to me. I do like the art in your first image here, though. I played the Korean version. The games combat is slow, when you attack the abilities have delays. The combat is similar to Aion but slower. The game went from P2P to F2P because it lost a lot of subscriptions. The content was interesting. 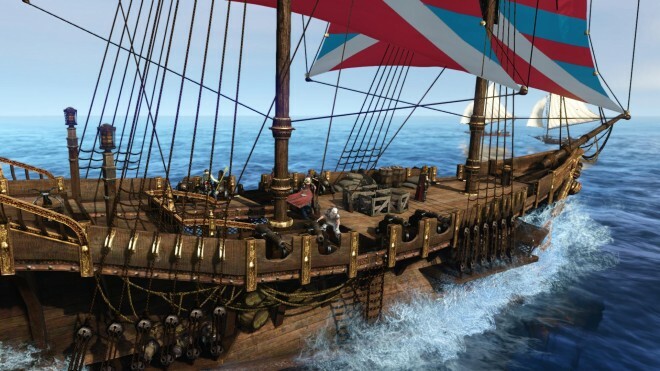 You can have a pirate guild, with your ship you can attack other guild ships or ports. Being a pirate doesn't allow you to enter NPC towns without being attacked by the guards. Uhm, any news from Trion? off: there is no point to open another thread, so I had to necro this one. Release date hasn't been updated since last year I think... nothing from Trion about it save the occasional "we are still working on it". I've been signed up for beta for months and nothing, though I'm traditionally unlucky in betas so eh. PvE carebear seeking knowledge online from Istaria to Nexus. Yes the Russian beta is starting, although distribution in Russian is not by TRION. 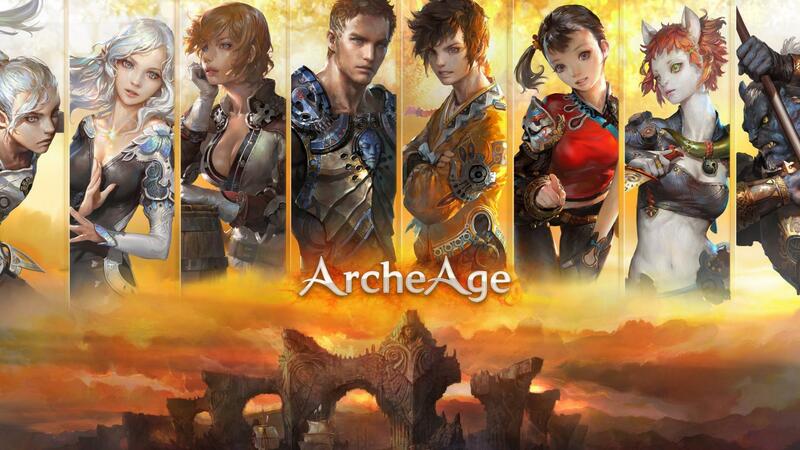 TRION ArcheAge Website is up and you can register for beta. Check out ArcheBlade!! Great game. I even run a server sometimes for people to play on. The only reason I looked into this game is the piracy part I thought that would be cool to make a pirate clan and raid on players sailing. Jail could be cool system but I know too little to make judgement. 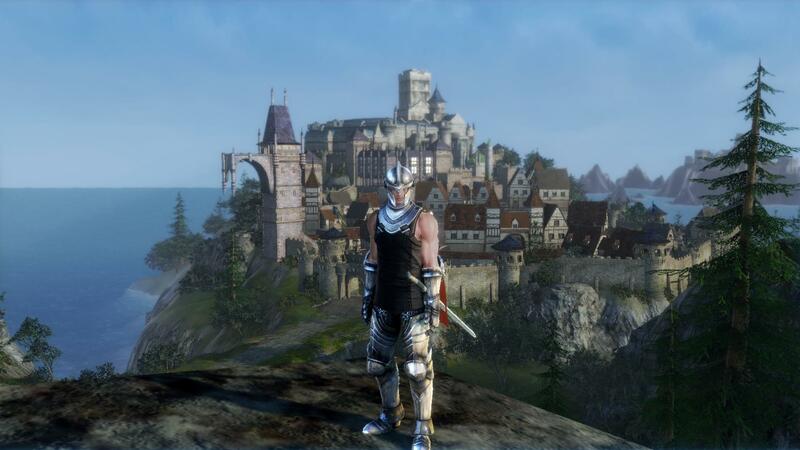 Graphics is typical Asian mmo and quite frankly bores me races are boring. Always all looks the same to me even blade and soul which is somewhat stylized still has the same issues with me when it comes to characters. The game could be good but nothing really makes excited to play it except for piracy I guess but that alone wouldn't be enough I think. As I see Trion started a closed alpha and they have the official forums open to public.